Description : The philodendrons are aroids and most of them are climbers. The name Philodendron comes from the Greek word filos, ‘friend’ and adelfos, ‘brother’, referring to ‘tree lover’, natives of tropical America. Engler (1913) listed 222 species of this genus. The vigorous growth of these plants, beauty of the leaves, curious appearance of hairy stalks and stems and tangled aerial roots make the genus interesting and rewarding house plants. Grow Clean Air Benefits: It's a workhorse for removing all kinds of VOCs. 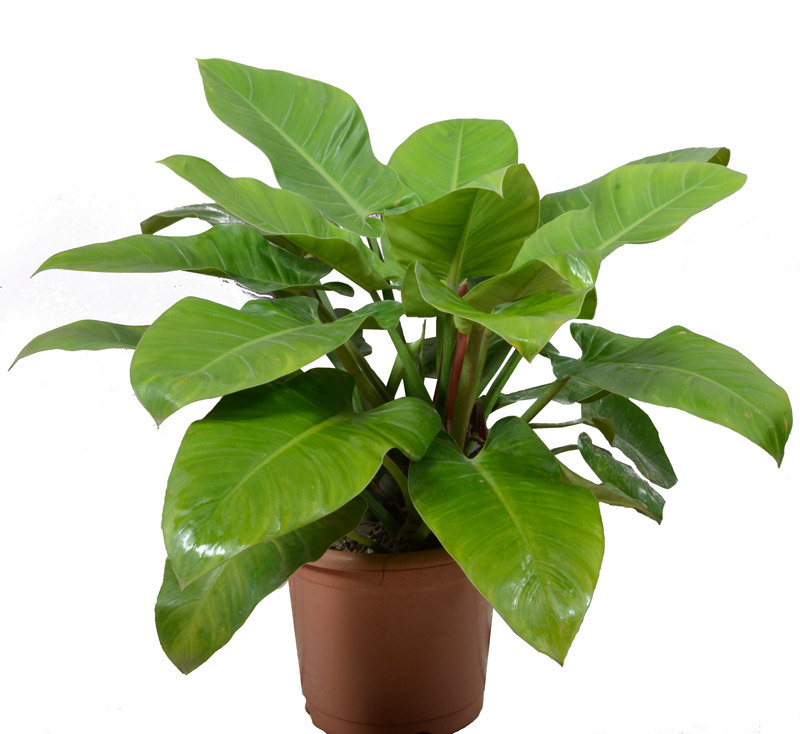 Philodendrons are particularly good at battling formaldehyde from sources like particleboard. COMMON NAME: PHILODENDRON. BOTANICAL NAME: PHILODENDRON ‘EMRALD DUKE’. A hardy, vigorous and spreading type with large hastate leaves, shinning green, leathery, yellowish midrib.